Howard Hawks’ Western masterpiece stars John Wayne and Montgomery Clift as father and adopted son who drive one of the first cattle herds from the open spaces of Texas to the newly-built railroads. 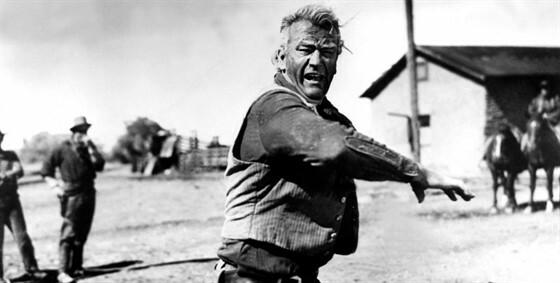 The two men battle for control of the herd, just as the two actors squared off between classic American film acting and the new style called the Method. RED RIVER is presented as part of Print the Legend: Classic American Westerns. Each film starts with a lively introduction from film expert Nina Kleinberg and is followed by a Q&A.